Will Anterior Core Training give you a six-pack? We have all coveted those perfectly formed abdominal muscles known as a six pack but how can you go about getting your rectus abdominis to build into a consummately cultivated core? Your core is the area you need to concentrate on to provide that rippling muscle definition, this area connects all the fleshy stuff between your chest and waist and it provides a stable base for your limbs, your core has to produce, reduce and redirect force throughout your body. Some people argue that directly training this area is unnecessary as doing heavy compound work will affect it already. However, if your goal is to have a six pack then you really need to train the area in which they are housed. Anterior core training really is a primary fundamental part of training, and your core is an area you should target specifically. There are a few main types of core movement which can be rotated through as part of your training. 1. Anterior Core Dynamic: these are exercises which generate movement through the core. These could be crunches/standing crunches, leg raises/lowers, weighted movements…You need to train your spin in ways it can move; it is made to flex. 2. Anterior Core Static: this type of exercise is mainly resisting motion such as planking/weighted planking, body saws and farmers walks. 3. Rotational Core Dynamic: as the name indicates these are movements which include a twisting/rotating action. They are useful for both rotation and stabilising. These could be Russian or Palloff twists or windshield wipers. 4. Rotational Core Static: The Palloff press is probably the most classic example of a movement whose primary focus is to prevent rotation through the spine. Side planks, single-sided carriers and deadlifts work well also as an anti-lateral-flexion movement. In every training session, you should be hitting at least one of these, if not two and over a five-week training course should cover them all roughly equally. Obviously, this depends on what your body needs, some people will require more time spent on certain areas. There has been research into whether you can get away with not specifically training the anterior core, meaning that you could get away with just training squats and deads. The experiment entailed removing core training from the five-week training programme of a group of individuals and replacing it with neutral mobility drills such as wall slides and movement drills. Using a sample size large enough to be able to see what effect the change in training would have on the outcomes. The experiment never actually saw it through to fruition however as after just two weeks there were increased complaints of minor back issues where previously there had been none. Due to these tweaks and niggles, the experiment was no longer considered safe and anterior core work was reinstated. So this doesn’t show whether the Anterior Core work is important for the increased rectus abdominis, but it indicates that it is imperative for the well-being of the spine and back muscles. So get adding those core exercises to your plan people and keep your spine healthy. You Can’t Out Train A Bad Diet! It's free to sign up so what are you waiting for? 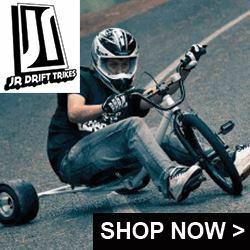 Join the ranks at Mens Stuff!